I recently looked at how you can get rid of duplicate files on your Mac. This is the first step toward cleaning out your Mac, and freeing up space on your drive. Still, there are more insidious files cluttering your Mac; these are hidden in folders you may not see, or, sometimes, in plain sight. This is especially important if you have a Mac with an SSD and limited storage. In this article, I'm going to show you how to uncover and delete some unneeded files that may be taking up a lot of space on your Mac. The first place to look to sweep out unneeded cruft on your Mac is in your Applications folder. When you bought your Mac, it came with a number of applications installed, and you may have downloaded and installed many others. But do you use them all? To see your applications, open your Applications folder and view your apps as a list (choose View > as List, or click the List View button in the Finder toolbar). To add a column showing the date you last used an application, right-click on the column headers and choose Date Last Opened. Click that column header to sort by that date; it will be in descending order, showing the most recently used apps first. Click that header again to change the sort order, showing the apps you haven't used in the longest time first. If you see apps that you recognize, and know you don't use any more, delete them. Don't delete anything if you're not sure; there may be apps that you might need at some point. Nevertheless, you probably have apps that you tried once and never used. In the screenshot above, taken on my MacBook, you can see a folder for Microsoft Office 2008. I rarely use Office—as you can tell from the version—but I won't delete it, because I may need to open or edit an Office file at some point. If you're not sure about any apps, don't delete them. Next, sort your apps by size. To do this, click the Size column header. You may have some very large apps that you don't use, and some of these may be Apple apps. For example, if you've downloaded iMovie and GarageBand, but don't use the apps, they take up, respectively, 2.8 GB and 1.2 GB. Deleting them saves 4 GB, which is a substantial chunk of space on an SSD. You can always redownload any apps you've bought or downloaded from the Mac App Store; for other apps, ones that you may have bought directly from developers, it's best to hold on to them if you're not sure. You can do the same with iOS apps in iTunes. Go to your Apps library, view it in Apps List View, and sort by Date Modified (this is the date an app was downloaded or updated). Check the oldest ones, and delete the ones you're no longer using. Then sort by size, and delete the largest ones you no longer use. You may save a lot of space. Intego's Mac Washing Machine, available on its own, or in a bundle as Mac Washing Machine Secure X8, which includes Internet security software, or as part of Mac Premium Bundle X8, has many useful features to help you reclaim space, weed out duplicate files, and more. One of the most useful features of Mac Washing Machine finds and deletes caches; these are folders that contain temporary files that certain apps write to help speed up performance. For example, your Web browser caches files it has viewed, so it may not need to re-download them when you visit a web page again. However, these caches can add up, and since you don't return to most web pages, you can save a lot of space by deleting some of them. Mac Washing Machine can save more than 800 MB on my iMac by deleting caches, mostly for Web browsers. Next, if you go to the Library folder in your home folder (that's the folder with the house icon and your user name), you'll see lots of surprises. To view this folder—it might be hidden on your Mac—choose the Go menu in the Finder, press the Option key, then choose Library. This Library folder contains a lot of files you generally don't need to see, but some of them take up a lot of space and can be deleted. View this folder in List View, and then click the Size header to view the largest folder first—it will probably be the Application Support folder. The Application Support folder holds files that some apps need to run. While there are a number of files you could delete here, it's best to be careful. I'll mention just a few folders you can safely delete. For example, there is the Caches folder. As I explained above, the Caches folder contains temporary files. You can delete this folder, but you should restart your Mac immediately after you do so, since some apps may think certain cache files are still present. This folder contains attachments that you have viewed in email messages, but that Mail neglects to delete. (There's a setting in Mail's General preferences about removing unedited downloads, but it often doesn't work.) If you get a lot of emails with attachments, viewing those attachments places copies in this folder. For some people, there can be several gigabytes of files. Open this folder, sort by date, and delete any folders that are very old (each attachment is in a folder with an unrecognizable name). You may have spotted a MobileSync folder in the Application Support folder. This folder contains iOS device backups made in iTunes. (If you only back up your iOS devices to iCloud, then this folder won't be very big.) You may have multiple backups of your iOS devices, which take up a lot of space. In iTunes, choose iTunes > Preferences > Devices. There you'll see a list of backups. 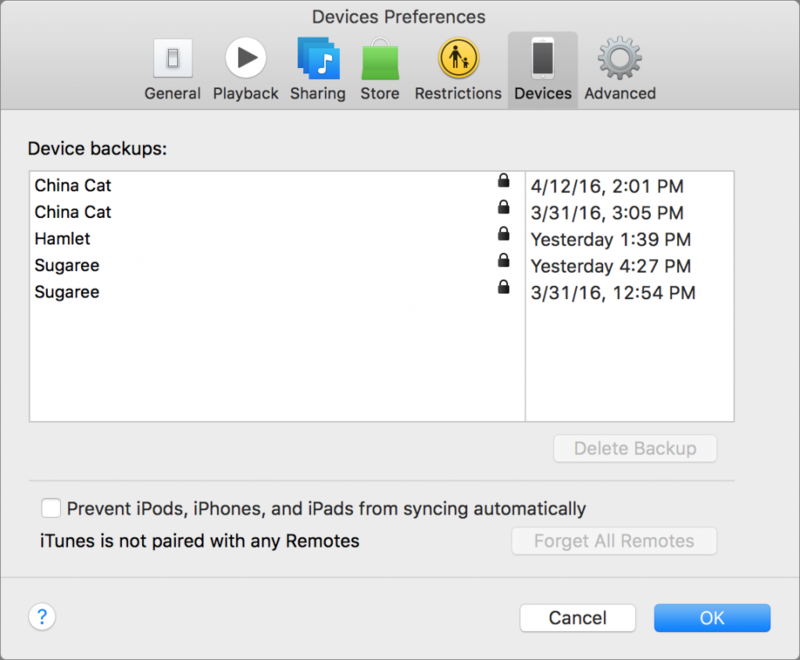 If you see more than one for any device—some might be very old—right-click one of the backups and choose Delete. This could save a couple of GB. Finally, you may notice, if you've had your Mac running for a long time—days, weeks—it loses some space. This is because OS X writes virtual memory files to disk. Sometimes, if you are using memory-intensive apps and don't have a lot of RAM, these files can be quite large. 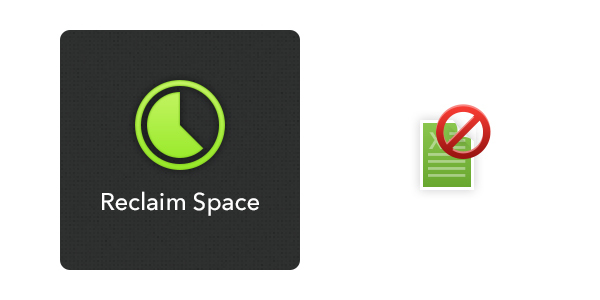 Just restart your Mac to reclaim space. In general, you can just put your Mac to sleep, and not restart it for weeks, but if you lose a lot of space, you might want to restart it more often. Check each of the above, and you can save a lot of space. If you don't have much storage on your Mac, you'll reclaim plenty of gigabytes. 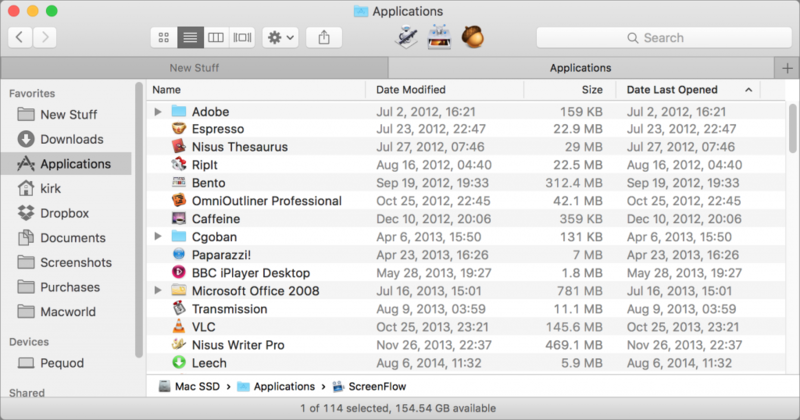 This entry was posted in How To, Recommended and tagged Hidden Files, Mac, Reclaim Space. Bookmark the permalink.